Here are two projects for two MOXIE FABulous challenges. The DPs are from Crate Paper, sentiment is an EAD Designs stickers, the large flourish stamp is from Unity stamps and finally finished the card with a recollection's flower & few stickpins. 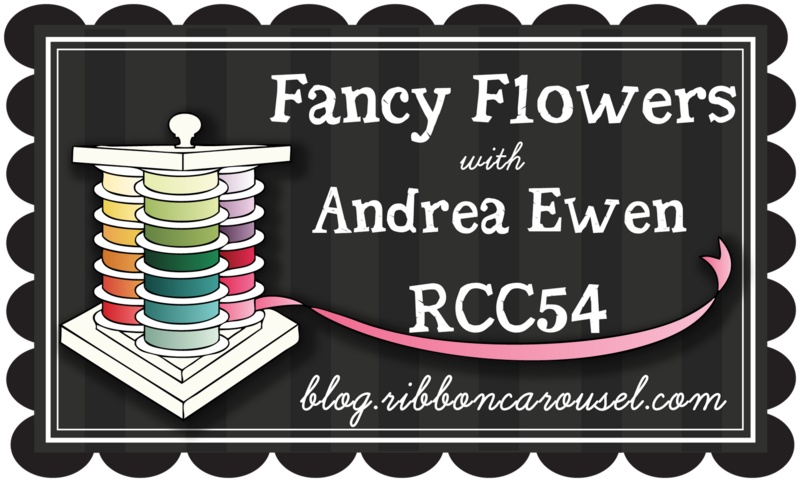 Ribbon Carousel Challenge: Fancy Flowers. 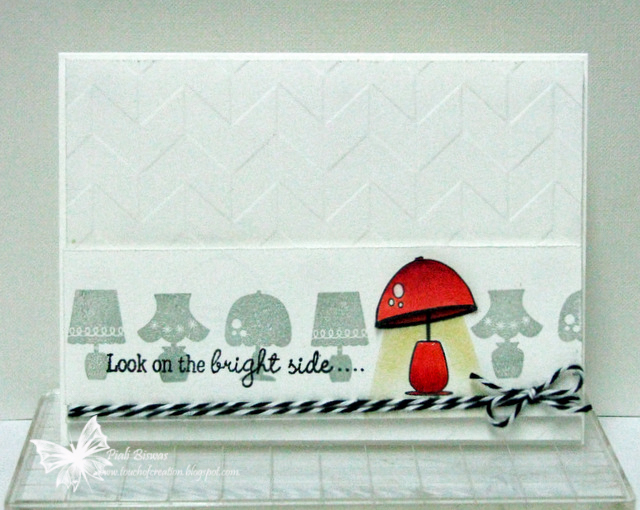 I used Spellbinders snowflake die and Simple Stories DPs for this CAS tag. This tag is also for the following challenges..
Simon Says Stamp Challenge: CAS. Its Jessica's Birthday.....actually its on May24th!!! We're celebrating her birthday with an early SURPRISE blog hop. If you don't know who Jessica is , let me introduce you.....She is the OWNER of the Awesome Stamp company named THERE SHE GOES .I'm so glad I met Jessica and had an opportunity to work with her. She is an amazing person and Awesome Crafter!! I used the flower image from TSG~Dream A New Dream set and the sentiment is from TSG~Happy Mail stamp set.The papers are from Authentique. The ribbon is one my favorite May Arts one from Ribbon Carousel. Crazy 4 Challenges : A birthday card. Happy Monday! Hope you all had a wonderful weekend!!! Thank you so much for all the wonderful comments about my 1st layout...it encouraged me to do one more...YAY!!! I searched thru my photo pile and picked a few of my fovorite ones...so you all will see more scrap pages soon. Still figuring out .. how to take a perfect photo of a layout, can't get it straight. I used papers from different Echo Park collections. Two Peas in Bucket: Bright paper background. Just Keep on Creating : Anything Goes. Loooooove the cute flip-flops from There She Goes-Get Your Thong On set! 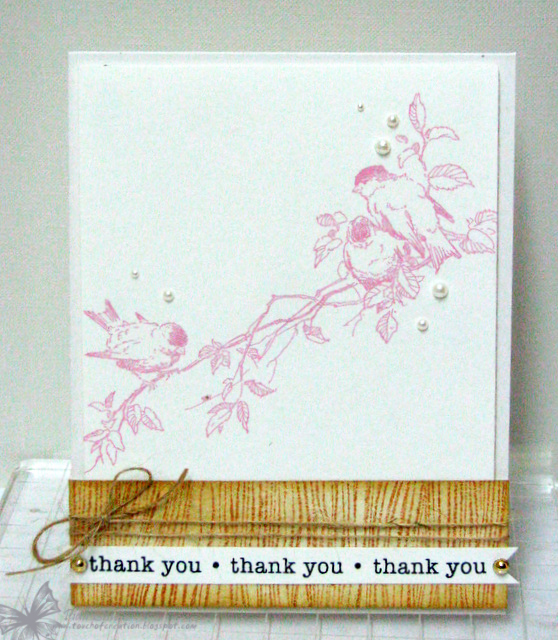 The sentiment is from TSG~ Back in 10 stamp set. 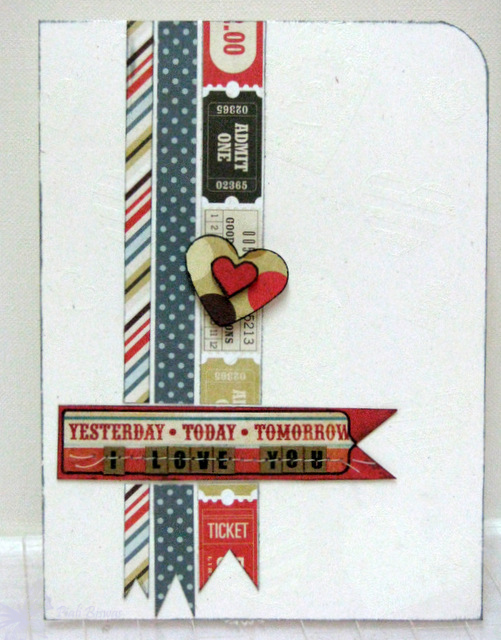 Artistic Stampers : Stops & stripes. Simon Says Stamp : CAS. 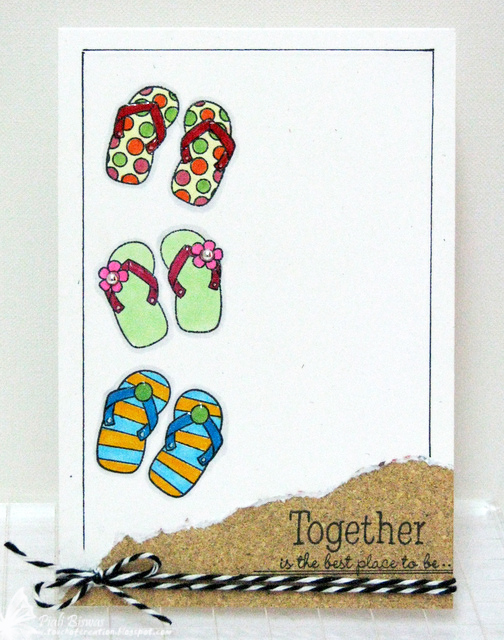 A fun Father's Day card using Paper Smooches stamps. The DP is from Authentique papers. Really Reasonable Ribbon: Father's Day/maculine. Aud Sentiments Challenge: For Dad. This one for this week's CPS sketch. The DPs are from Echo Park -Note to Self collection. The sentiment banner is from My Mind's Eye and I added Jillibean Soup letter stickers to complete the sentiment. I'm not sure if you can see the white on white embossed hearts. I used the four hearts from Hero Arts/OWH stamp set and heat embossed it with Stampendous detailed white EP. Simon Says Stamp: Clean & simple. 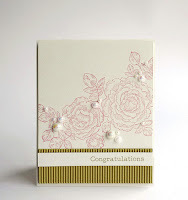 WOW Embossing Powder Challenge : Earth Tones. Top Tip Tuesday: Clean and simple. I love scrapbook pages...its a great way to capture a moment!! Always drool over the fabulous layouts that Laurel , Yvonne and lots of amazing crafters create. Only problem I've is my extremely POOR photography skills...I wish my friend Trish did all the photo part for me...she is great with camera!!! I always think.. for a best layout you need some AWESOME photo's. 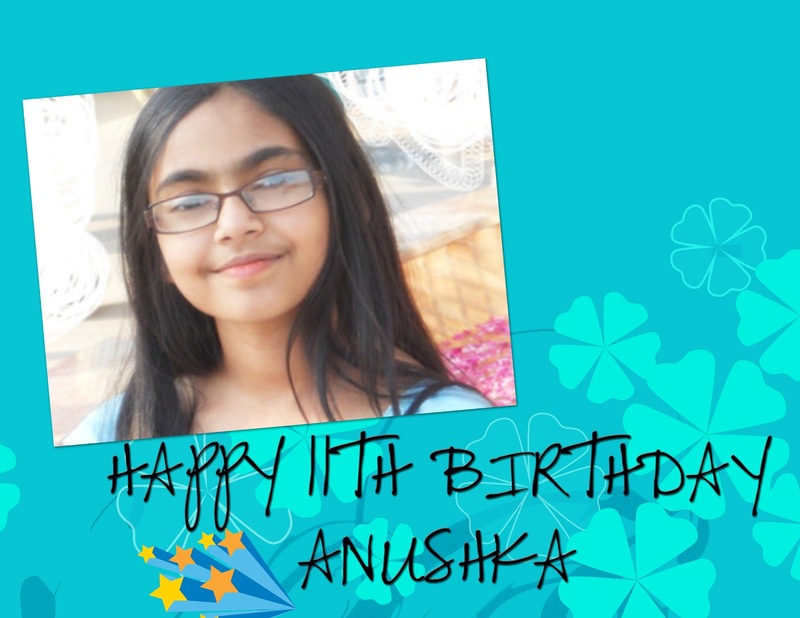 So here is my 1st layout with a school pic of my sweet lil' one ...ANISHA...its good to start with a picture taken by a professional! 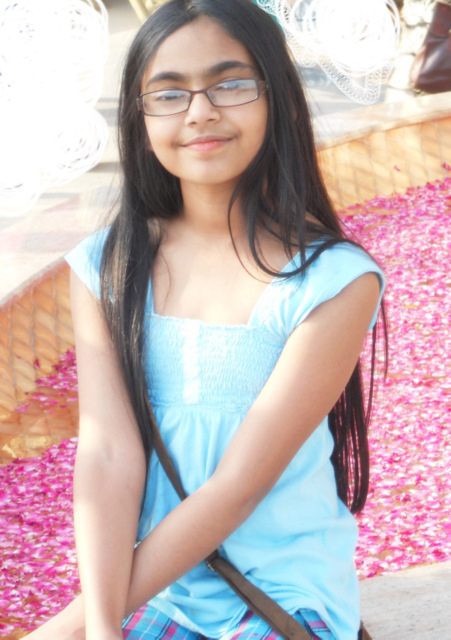 Anisha is the sweetest one in our family! She has braces from age of 4 to correct her underbite problem. She is amazing with it...never complains about all discomforts of these braces, always cooperates with the Orthodontists (they love her) .........very happy child!!! She made this painful treatment very easy for all of us!! I love that SMILE ...so thought of making a layout about it!! I'm a cardmaker...usually I don't buy 12" x12" papers ...luckily had a collection pack from Crate papers and I picked the Chevron paper for the background, its trendy and my favorite pattern now. To match up the chevron background and make it lil' girly I created Chevron Pattern with 4 shades of pink Bazzill cardstock! I will share the easy tutorial for it soon. Did lot of stitching on it!!! Used some of the stickers and die cut elements from the same Crate Paper- Random collection. Please leave me comments about this layout ...I would like to hear your honest opinion about my 1st scrapbooking attempt. Hope you all enjoyed the Mother's day weekend.... I had a good one! 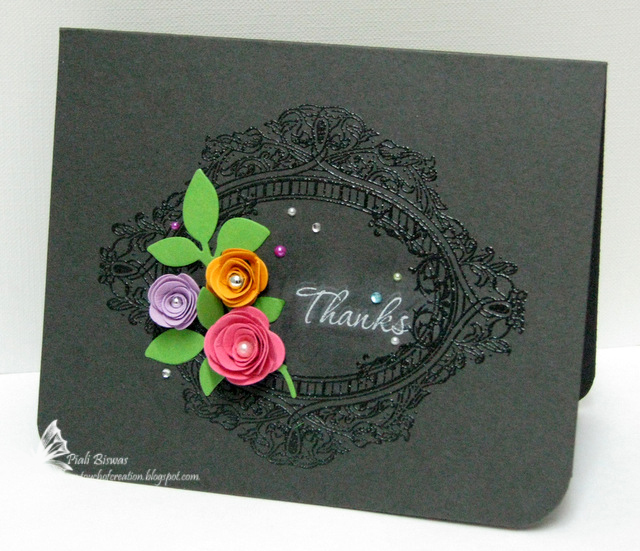 Here is a CAS thank you card inspired by Aga ...May Muse of Case Study. Its a hybrid card.... I used Vintage Birdie Brushes from JessicaSprague.com. I like working with digital brushes as it easy to change its color or use as a overlay. My PSE skills are very poor...really need to work on it! 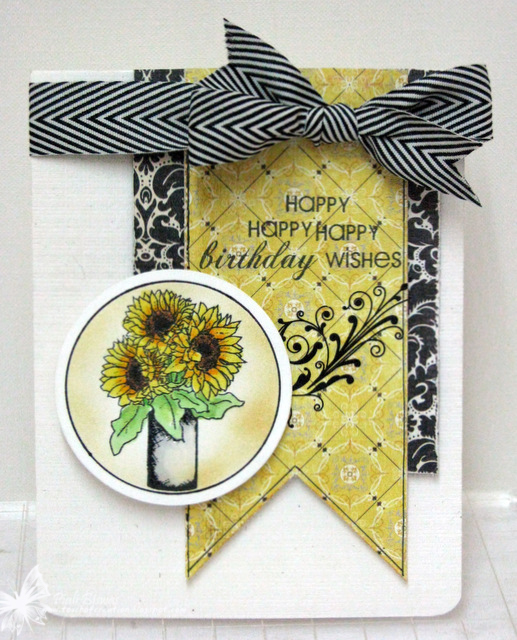 The woodgrain stamp & sentiment are from Hero Arts. Just a few pearls( Pizzazz Aplenty) and some May Arts jute twine(Ribbon Carousel)..thats it, easy peasy!! CAS-ual Fridays: Feathered Friends . Pile It On - CAS. Paper Sundaes : Things with wings. sponsored by There She Goes Clears Stamps! Over the next two days, we (customers and trendsetters!) will be featuring some of our favorite There She Goes Clear Stamp sets! Not only that, we’re going to give YOU a chance to win some fabulous prizes! To find out how, please go to the There She Goes’ blog and read the simple instructions. I picked Lighten Up set for my projects today!! Beautiful set ...full of lovely sentiments and fabulous lamp shade images. A clean and simple encouragement card....I really like this sentiment! Its always nice to think positive. Craft Room Challenge : Emboss it. Top Tip Tuesday :Clean & Simple. I jusst turned a lampshade image upside down to create a lovely flower pot. Thats the fun of this set...you can create lot of things by combining these images. 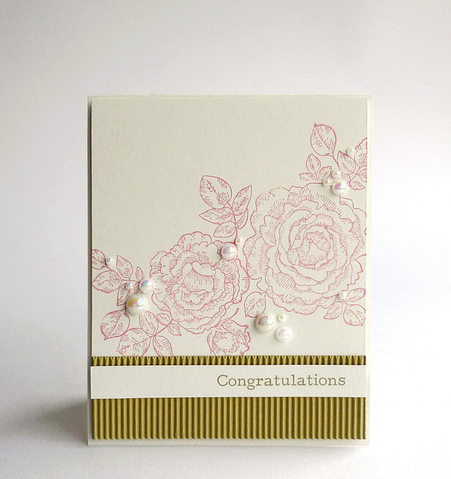 The flowers are from Wrapped in Joy set and the sentiment is from Day or Night set. 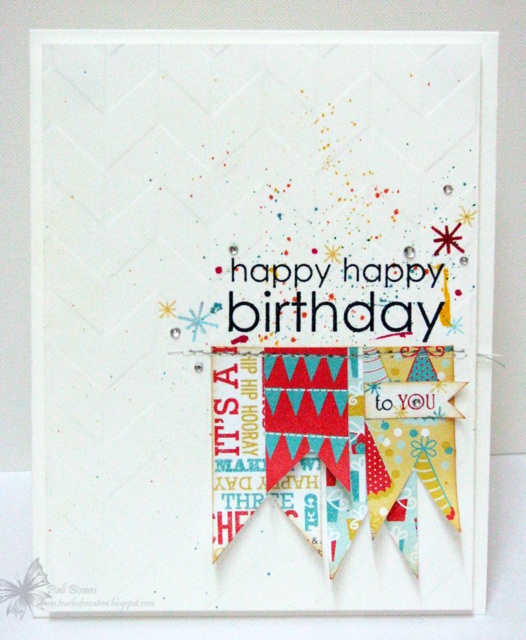 Daring Cardmakers : Fussy Cutting. Do You Stack Up? : Flowers. Sisterhood of Crafters : May Flowers. Hooked on Crafts : Flowers. Please click on the InLinkz below and follow it to the next blog! I'm so excited to join the uber talented CAS-ual Friday Girls as a GDT next month!!! WOW!!! A Happy Friday indeed! Thank you so much CFC DT!!! I like Aga's work a lot and she is this month's muse of CaseStudy. Iwona picked a fabulous card for this week's inspiration. I used Justrite Stamps for this card. 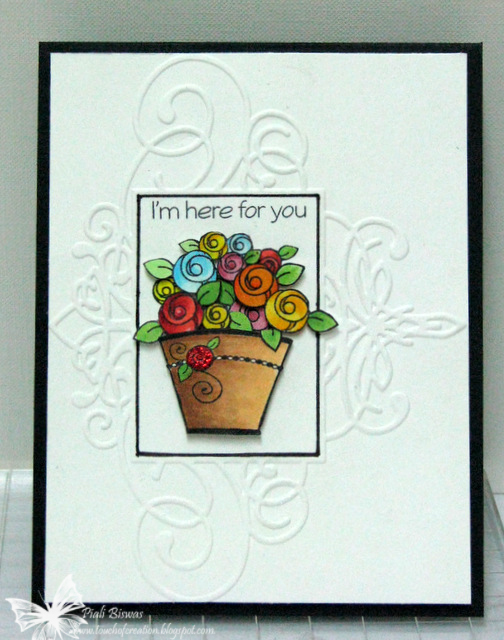 Really liking the MFT mini rolled dies a lot ....its makes perfect size flowers to match with Wplus9 leaves die. Paper and Such Design : May flowers. Scrap It Girl : Flowers. ...so here is a CAS birthday card for them! The chevron Impression plate from Wplus9 is my favorite now. The stamps are from Papertrey Ink....and the fun birthday themed papers are from My Mind's Eye. 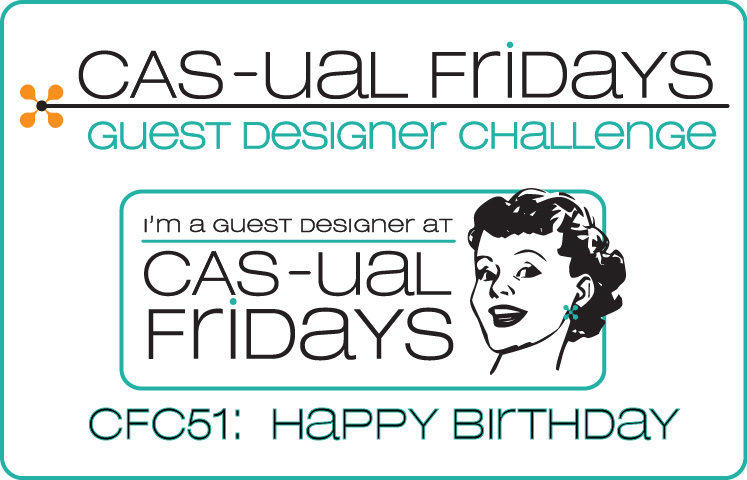 This card is for the followinng challenges..
CAS-ual Fridays - Happy 1st Birthday!!!!! Simon Says Stamp: Happy 3rd Birthday!!! Catered Crop : The letter"B"...... birthday ,banners, bling, blue. Spatter Technique Challenge in the Moxie Fab World. .....and a very smart kid! I am so BLESSED to be her MOM!!!! !